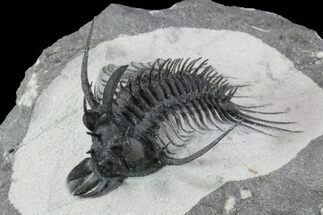 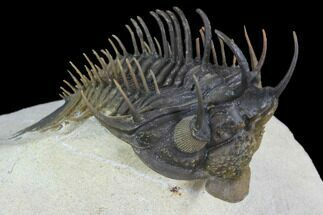 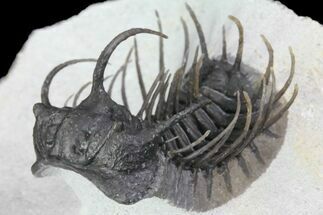 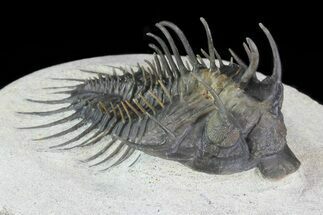 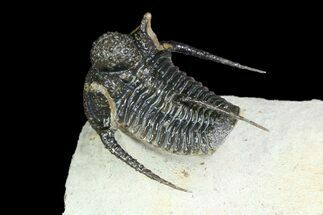 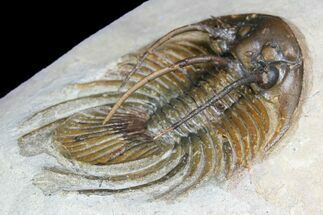 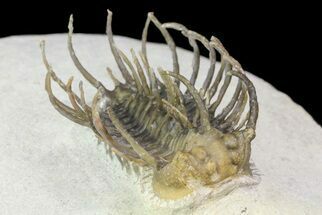 This is a 5.1" long specimen of the super spiny phacopid trilobite, Drotops armatus. 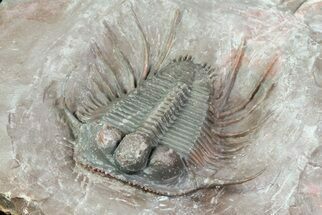 With somewhere around 100 free standing spines it would have been a very unappetizing dinner for it's predators. 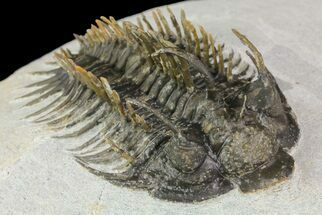 This is a very impressive specimen that shows excellent shell detail. 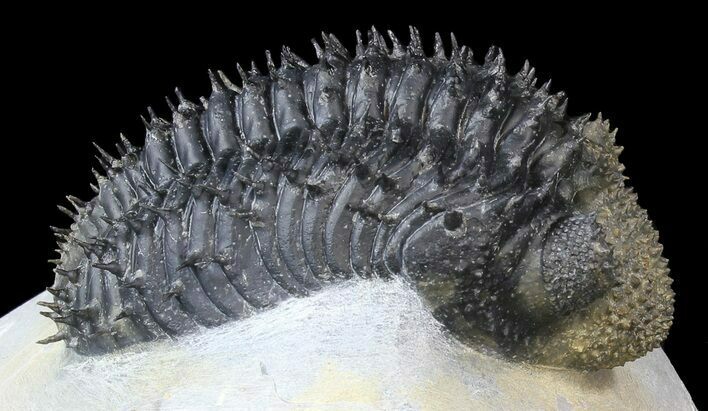 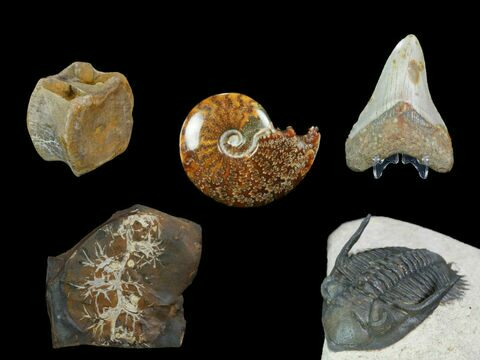 Many of the spines on this specimen either composites or were reattached bargain price.